Relocating an office or company to a different area or larger premises is an exciting prospect which can bring about new business relationships and increased opportunities. It can also be a lengthy and costly process, as well as a stressful moment in a company’s life for employers and employees. There are a range of considerations that must be considered when moving to a new office, from legal responsibilities to design and layout considerations to employee well-being and relations. A successful move involves a lot of planning. Establishing requirements and priorities for a new location during the early planning stages will help inform decisions down the road. It will also establish a vision or objective for the move that will guide the entire process. Engaging with affected parties such as employees and clients will also help ensure the appropriate site is selected. It will also help reduce confusion and anxiety that inevitably is associated with a move. As a result, communication with employees, clients and other stakeholders is crucial to ensure a seamless move. Planning also involves considering potential sites and the environment around them, including transportation links, safety, nearby amenities and services, parking and much more. Narrowing down a new location might involve feasibility studies into potential office spaces and building surveys. Once a site is chosen, companies can hire a consultant to help design and fit the new space. This work involves creating a detailed layout that shows all offices and workspaces as well as amenities such as kitchens, toilets, meeting rooms and spaces, storage rooms and facilities, IT and utility services, and other elements of the new office. Creating a layout is also guided by defining a look and feel for the new space, such as a colour scheme that reflects the brand and identity of the company. How much flexibility a company has in creating their new space will depend on the property and whether it is a pre-furnished or serviced site. Financial planning is also crucial. Developing a comprehensive budget based on accurate estimates and quotes early in the planning process will help ensure the move will not compromise the financial viability and future of the company. Building in a contingency is also helpful in case there are unforeseen costs, delays or overruns. Understanding long-term costs is also key to understanding the full cost of the move and when comparing potential offices. Consider the business rates in the location and for the site, as well as lease, insurance, utilities, legal and other relevant costs. Moving to a new office requires working with the right people. Choosing the right commercial property agents, tax advisors, contractors, insurance providers, design and fit out consultants, and others will have a significant impact on how a move goes. When choosing partners for the move, it is important to ensure they are experienced and respected by checking qualifications and references. Partners should be transparent and provide free quotes for all work and be available throughout the relocation process. 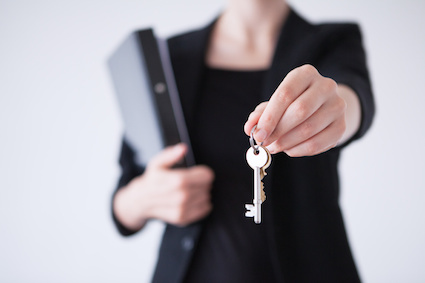 It is also important to choose reputable landlords and property managers who offer flexible and reasonable lease terms and the services your company needs to be successful. A variety of laws and regulations are applicable when a company relocates, so it is important to work with qualified partners who will do their due diligence and are aware of a company’s responsibilities. When preparing for a move, companies need to consider the rights of their employees. Employers as well as employees are bound by employment contracts when relocating staff, including conditions outlined in any relocation clauses and the rights of employees to refuse unreasonable requests to relocate. In most cases, employers have the right to relocate staff with a relocation clause unless the request is unreasonable – for example, asking an employee to move to another country with one day’s notice. New offices must also comply with health and safety and accessibility regulations, including the Disability Discrimination Act and Workplace (Health, Safety & Welfare) Regulations. Employers also need to comply with environmental regulations when overseeing work at the new office, including appropriate disposal and tracking of waste. Although a relocating a company can be stressful and complex, it is also an opportunity for renewal. Change can help reinvent and refocus a company as it moves forward. It is also an opportunity to rebrand the company and create a new identity. At the same time, a successful move depends on choosing a site that reflects the operational needs of the company along with the interests of its employees and stakeholders. This is why planning and engagement is essential at every stage of a move. For information on office space availability and business centre opportunities in London click here.